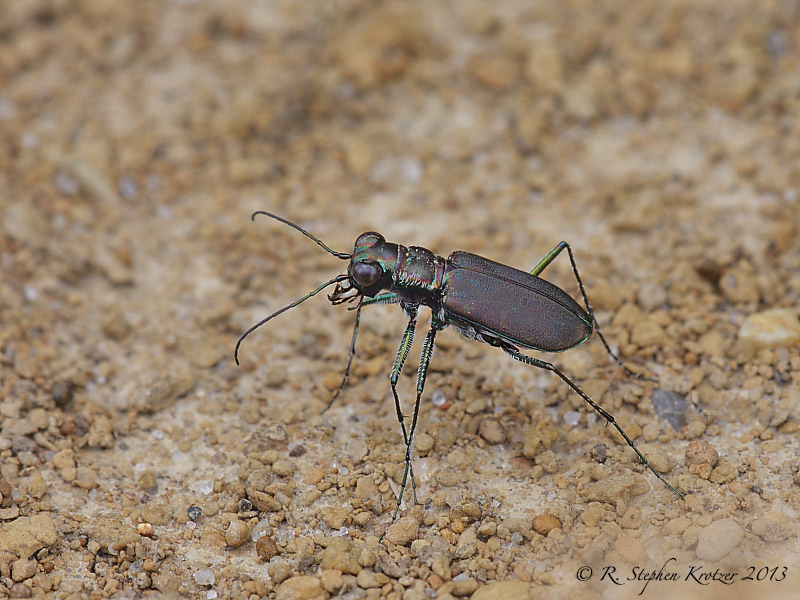 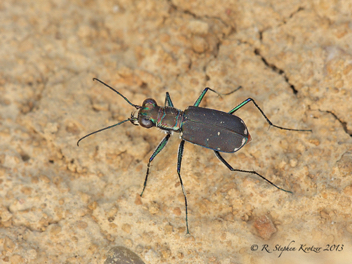 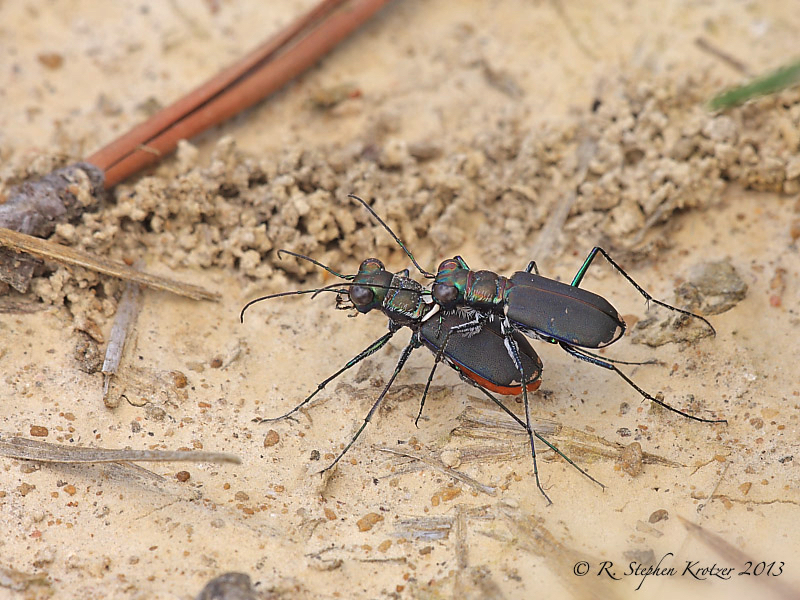 Cicindela rufiventris is a species of dry upland habitats such as road cuts, rock outcrops, and forested openings with little vegetation. 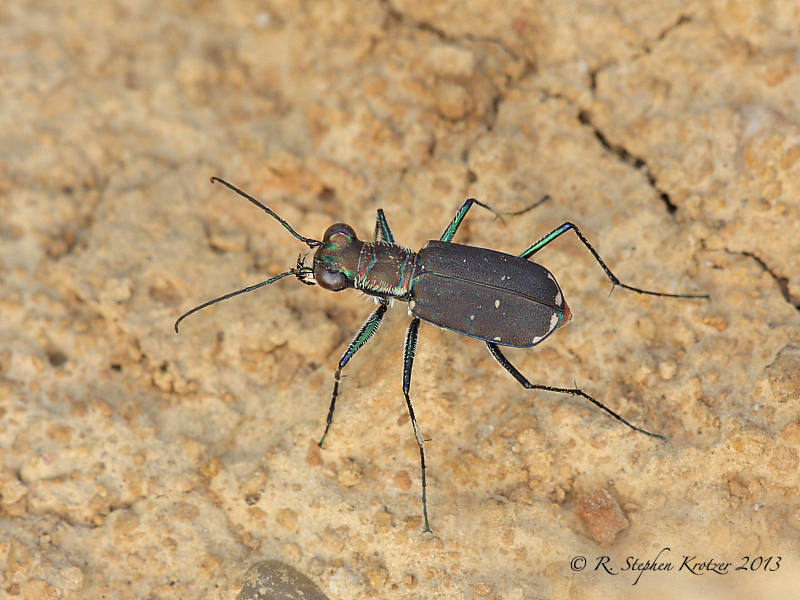 It is a solitary species most active during the summer (June through August), where it can be found during the morning and late afternoon, often avoiding the heat of the day. 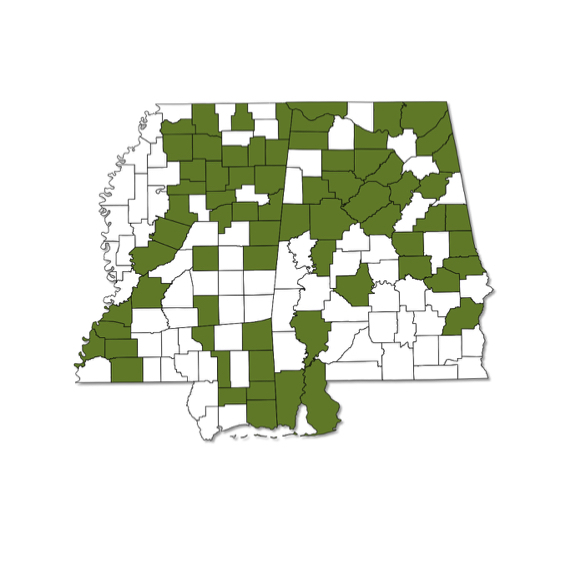 It is distributed throughout Alabama and Mississippi, but is very local in occurrence and is not usually abundant where it is found. 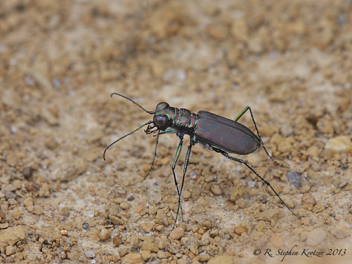 Specimens in Alabama and the eastern part of Mississippi are typical of the nominate subspecies, with brown upper parts; in extreme western Mississippi the subspecies cumatilis (which has dark blue upper parts with reduced white markings), or intergrades between the two subspecies, may be encountered. 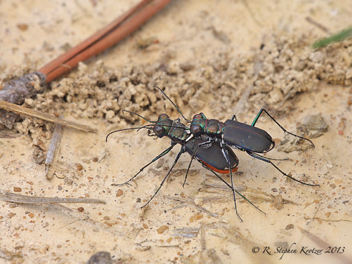 All forms vary in the extent of white elytral markings, but they all have the characteristic red abdomen which may be seen in the bottom photo.